There is no doubt that accidents happen. A nasty hail storm, a car accident, or even a shopping car denting your car can be unnerving. Dents or dings that are both big and small can be unattractive and expensive to fix. When using a mobile dent removal service you allow yourself to save money and time. 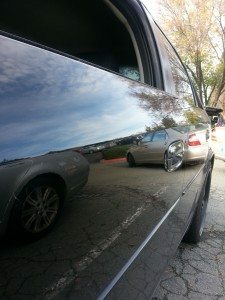 Paintless dent repair is known to be one of the most cost effective ways to get rid of dings and dents to your vehicle. Leaving your car at an auto body shop can be costly and take days to weeks until they get around to fixing it. With mobile dent removal the job can be done in simply a few minutes to an hour depending on the size of the dent. When using PDR you allow your car to increase in value because there is no new paint applied or sanding involved. Using mobile dent removal companies also make your life much easier with their convenient and quick services. More times than not the mobile companies charge a great amount of money less than normal full service shops. Paintless dent removal is done by using metal rods and pullers to massage the dents out of the car. Your car will look back to its original state and many people are very impressed with the outcome. Mobile dent removal can be done on bonnets, wings, car doors, roofs, and wings. Also, with paintless dent repair there is no filler and paint used during the repair process. You are free from worrying if the paint will match or if you will have to deal with peeling paint later down the line. Most PDR companies also offer free estimates without an obligation to hire them. 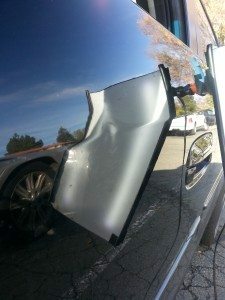 Another great thing about mobile dent removal is that the repair work can be done anywhere. If you are stuck at work, home, school, or anywhere else the mobile dent removal company can come to you. Paintless dent repair is also highly recommended to have done on leased cars. Many people want to return their car to the leasing company without being billed for dings and dents that have been acquired over time. PDR shops often times charge a lot less than you would be billed by your leasing company for the repairs. ​PDR and mobile dent removal has become very popular over the last fifteen years. People have grown to trust and rely on the great technique that is used to repair their dents with this method. If you have a ding or dent to your car that you want fixed quickly and will not burn a hole in your wallet, then PDR services is the right choice for you. Not only will you save money but you will have a car looking back to its factory appearance in no time. Another wonderful benefit of using PDR is that you eliminate chemicals that can be harsh and dangerous to your health. Using mobile dent removal can make a world of difference in your life.